Seems the cheap lights I bought for Christmas last year, ARE still workingThese lights used to live along the western fence line. during the carnage of the fence replacement, they were ripped up and thrown aside. 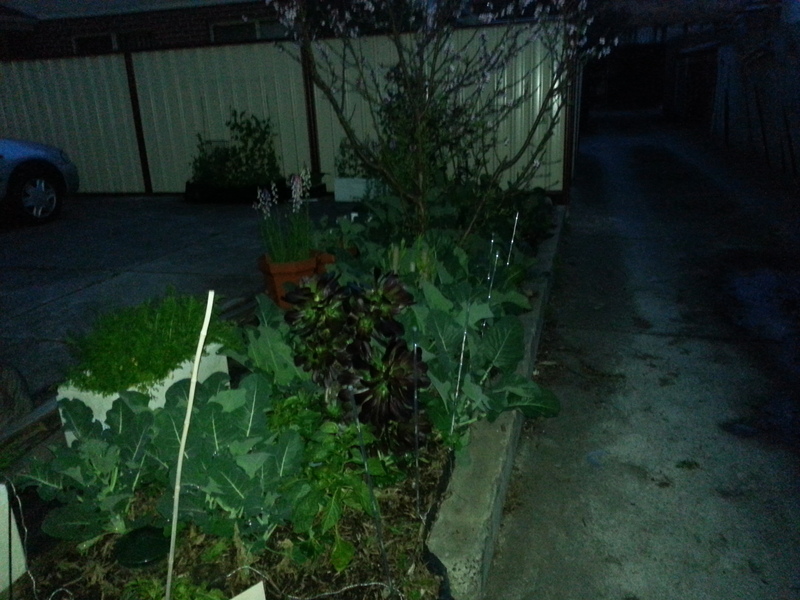 Last week i tried to repair them and stick them in the carpark garden… not luck. It seemed they were broken and destined for the bin…. So last night i pulled them out. As i dropped them on the ground, i saw the LED lights flash…. so i jiggled the wires a bit and they all seem to be working again! !